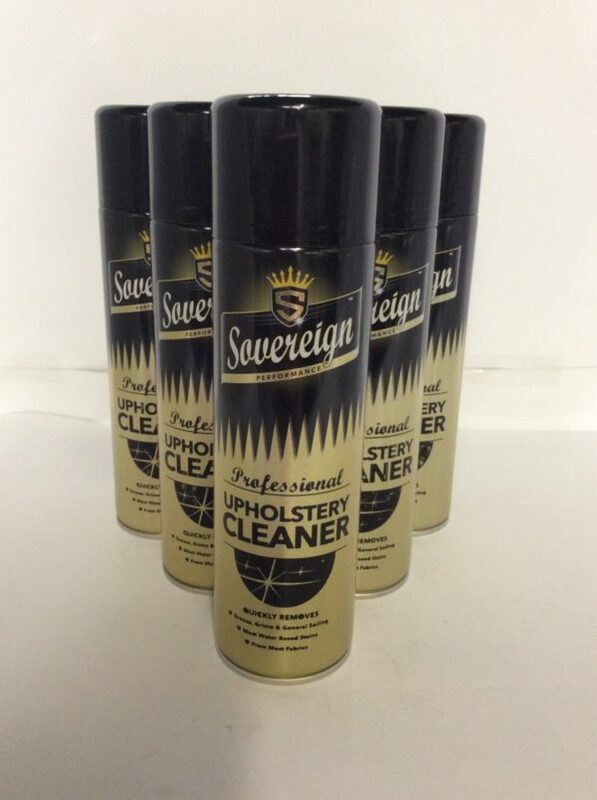 Quickly removes grease, grime and general soling, most water based stains from most fabrics. This carpet & upholstery cleaner is quick acting, highly effective, kind to delicate fabrics and is specially formulated to remove dirt, grime and stains. Use at home and at work or in your car or caravan. Safe: It works well ad safely on curtains, upholstery, car interiors, carpets, velour and leather. It also works well on harder surfaces such as vinyl, formica, ceramic tiles, paintwork and more. 4. Leave for 30 seconds and then wipe clean with a damp absorbent cloth or sponge. Rinse cloth or sponge frequently in clean water. Ensure all traces of foam are removed from the fabric being scrubbing. 5. Heavily soiled areas may require gentle scrubbing with a medium soft brush before wiping clean.